It is that time of the year again when we all pile in front of the big screen TV, indulge in unhealthy snacks, watch the Super Bowl, and laugh out loud at some of the most expensive and hilarious commercials known to man. 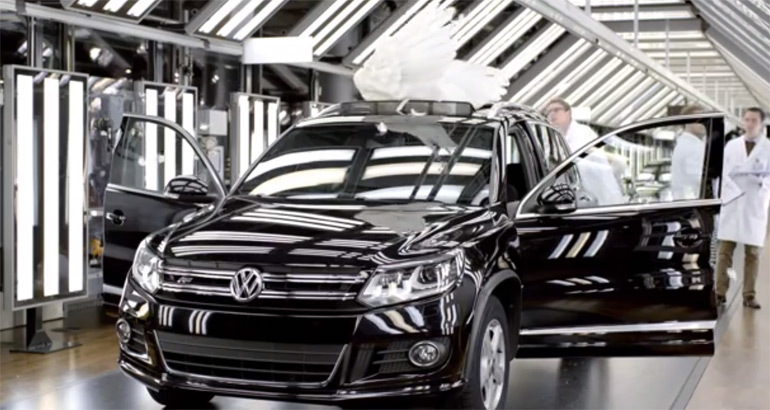 Volkswagen has been at the forefront of entertaining us during the Super Bowl for many years now and the tradition is staying strong as they release one of their game day commercials where every time a VW hits 100,000 miles a German engineer gets his wings. Yeah, we know where that came from – this is pretty funny though!